Can Self-Acceptance and Self-Improvement Co-Exist? I picked up a book the other day at the bookstore, “The Fine Art of Small Talk,” by Debra Fine. It’s all about how to be a leader in conversation with others. I’m excited about becoming a better conversationalist: not because I’m bad at it, but because I see how it might benefit me in my relationships with others. I’m also interested in making new friends and I think the ideas in this book can make that easier and more fun. Call me weird, but I’m into that kind of stuff. Now, I know what some people are thinking. 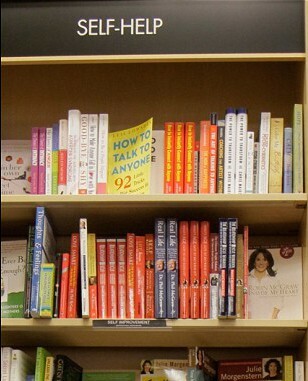 No one wants to be caught dead in the “Self Help” aisle of the bookstore anymore. Reading up on things like improving your bank account, your relationships, your self-esteem have become a bit cliché. These days, booksellers have even changed the name of the genre to “self-improvement,” but the concept still reeks of self-absorption and weakness. Or worse, a lack of self-acceptance. Why, if we are supposed to just accept who we are, should we even think about self-improvement? These two concepts, self acceptance and self-improvement seem to be a contradiction, but are they really? The relationship between these two concepts is actually closer than it appears. Many people do approach self improvement because they perceive a lack in themselves. They seek out prescriptions, diets, formulas and strategies to assist them in solving their problem or lack. For example, people turn to diets to fix the way they look and feel about themselves. They believe that a diet will change them enough so they can accept who they are. But we can already see the flaw in that kind of thinking – that change is required BEFORE acceptance. However, very few people who disallow or reject their physical appearance will actually succeed at a diet. They don’t like themselves enough to take care of themselves. We have to love and appreciate something before we are willing to take care of it. Take a seed for example; it must accept the conditions in which it is placed before it can grow and thrive. If the soil is too dry, it won’t even sprout. If you place it in a cup of water, it will not grow either; it is too wet. The seed may try in any conditions, but until it really accepts the conditions it is in, it won’t flourish. There are not enough nutrients for it to succeed. And in many ways, we are the same. If I want to be stronger, I need to go to the gym, but I’m not going to keep it up for long if it feels like punishment for having weak leg muscles. There is only one thing that can motivate me toward improvement – the desire to be/do/have more of what I already love. If I love what my body can do and how it serves me in my life, then going to the gym is a good way to ensure that it continues for as long as possible. If we think of our current state as our growing conditions and we instill some loving nutrient into our hearts, we will find that acceptance and improvement work together for our good. Naturally if we love something we want more of it. Growth is inevitable. 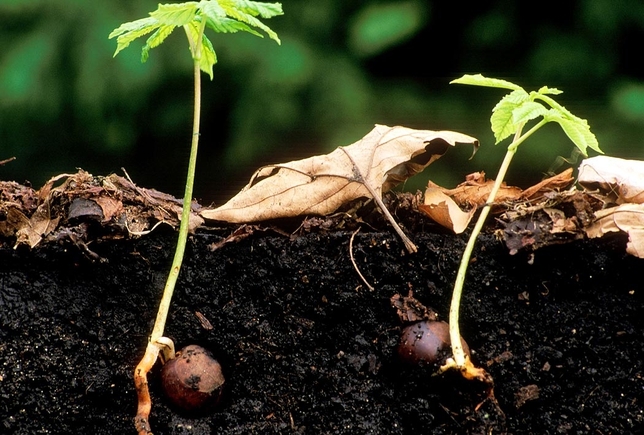 Humans, like seeds want to grow. They naturally want to be, do and have more. For me, I already love people and the interactions I can have with them. I want more of that and being able to strike up a conversation anywhere, anytime with anyone seems exciting. I want to have a bigger better toolbox to make that happen, so reading a book on improving my conversation skills makes sense for me. It is part of my development as a human being-the part I can control. So, is the concept of self- improvement self-centered? Well yes, but I’d argue that a shift in focus from self-improvement to self-development actually allows us to recognize the process as a normal part of life, not something we do because we aren’t good enough. Understanding our own self-development enables us to be more sympathetic towards others and their growth and development patterns. If we can walk the fine line of accepting who we are today and acknowledge that we are always improving, we’re better at allowing that for others without judgment.